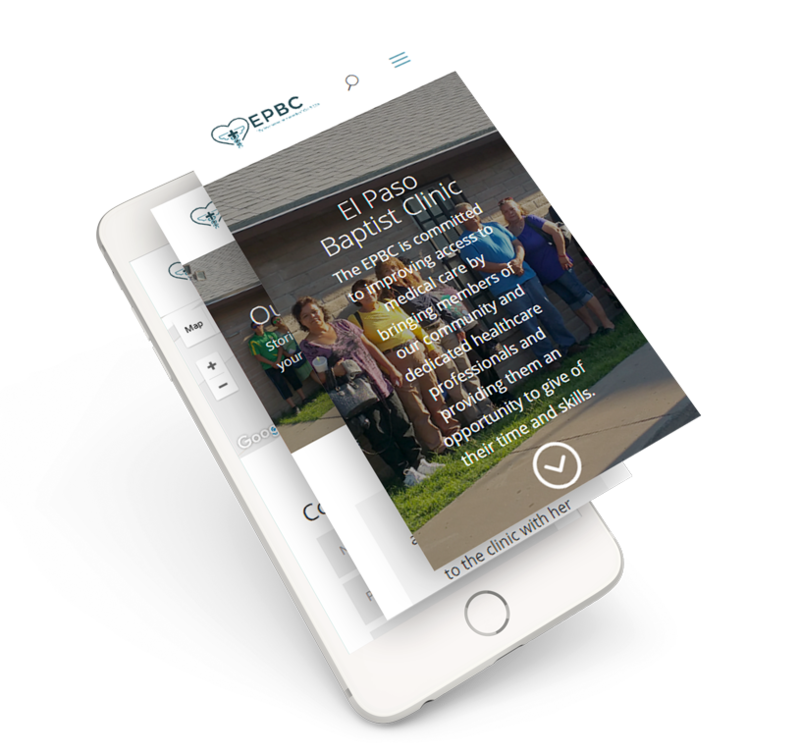 “After 43 years and 22,500 patients, the El Paso Baptist Clinic continues serving God and the community.” Operating from gracious donations EPBC offers healthcare to those who cannot afford it otherwise. While helping those in need, they were also in need themselves – they needed an new website and logo. While working on a website redesign for the El Paso Baptist Clinic, they asked if I would also design a new logo to go with their new site. The imagery they wanted to focus on was a heart, a caduceus, and a cross. Additionally, they wanted to add a quote from Galatians 5:13. The needs for their site were simple, they needed a place to accept online donations as well offer potential volunteers and donors more information about the clinic. While the site is responsive, I took care to care to ensure mobile optimization as they requested.